Natural leather across body bag, hand painted, with outside and zip fastener. Ideal for sport clothes and free time. Men's handbags have been rather uncommon until recently. Men used their trousers pockets to place all their things, but nowadays pockets are not enough any more: mobiles, keys, and even tablets, have brought the need of something to contain everything. After a period of great success in the 70's, and a subsequent desertion, handbags for men are nowadays coming back to the fore. The best and most preferable material is leather and here is Astore giving its original version: Astore handbags have internal and external pockets and therefore a lot of room for objects. They have also adjustable straps. 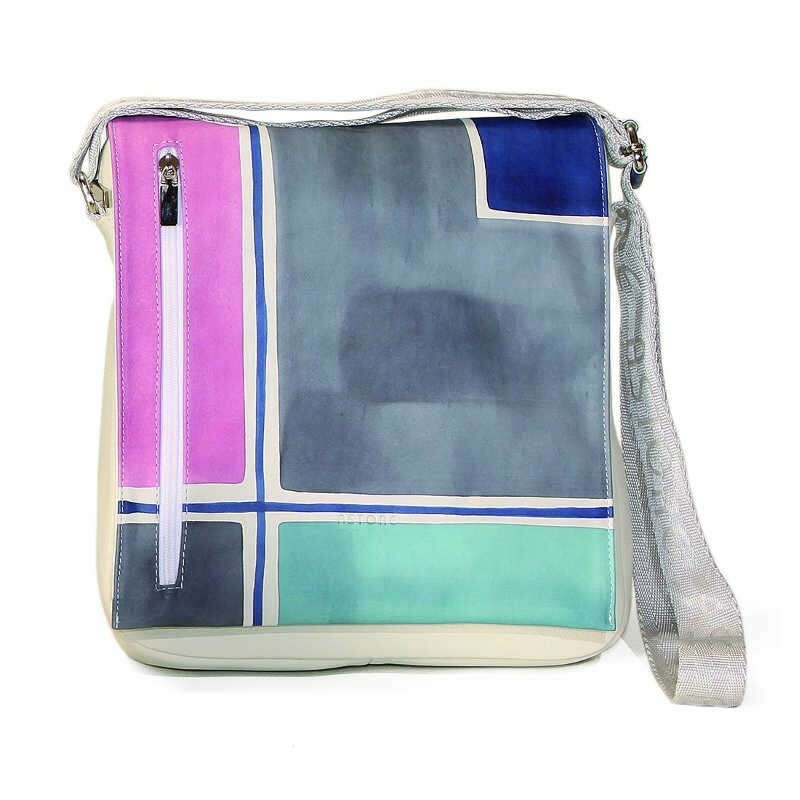 Why making do with an anonymous and boring handbags when you can have colors and brightness? You can also match them with shoes of the same line. 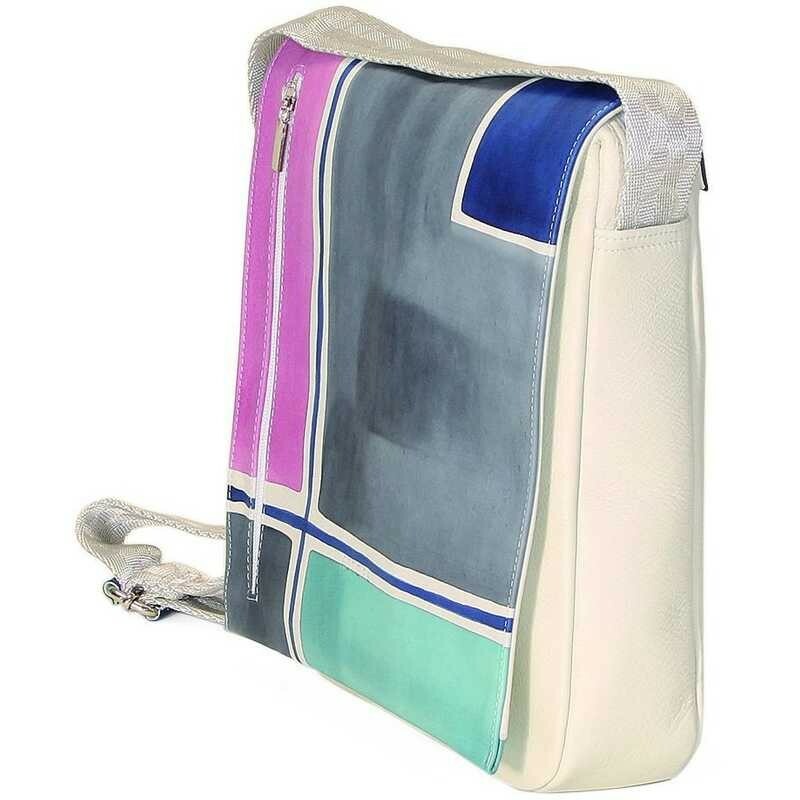 Leather Business Geometrico Acquerello plays fashon with its touch of pink, pale blue and grey. Don't miss it!